We are extraordinarily lucky to work in partnership with Fighting Words. This organization works with people of all ages to promote creative writing and story-telling. A volunteer from Fighting Words works with some members of our group on a monthly basis and currently that volunteer is Sheila O’Flanagan, the renowned author. 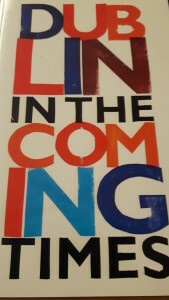 The Active Retirement Creative Writing Group participated in the “Dublin in the Coming Times” project. This involved a number of creative writing workshops and culminated in a city-wide publication which was launched in December 2017 in Pearse Street Library. This publication included one piece from our group – Granny’s New Toy – written by Eileen Quinn. 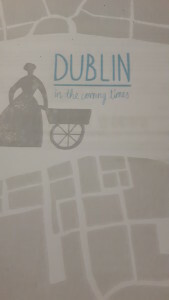 The project, which was a partnership between Dublin UNESCO City of Literature, Dublin City Public Libraries, Dublin City Arts Office and Fighting Words, was intended to enable Dublin’s citizens, both adults and children, to participate in illustrating a vision of the city as a place that, although it might change and adapt to new circumstances, will continue as a living, creative environment and a place for the storyteller and poet. 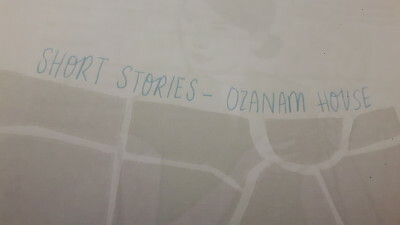 In addition, Fighting Words produced a smaller publication – Dublin in the Coming Times – Short Stories – Ozanam House, of the writings and stories from our own group. 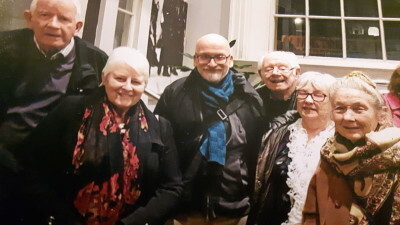 The photos include some members of the creative writing group pictured with Roddy Doyle at the launch of the city-wide publication in Pearse Street.